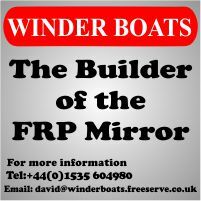 If you have a Mirror dinghy, and there is no evidence of it having previously been measured, then you need to have it measured from scratch in order to get a measurement certificate. 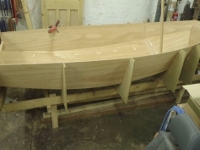 If you are in the process of buying a new boat, then consider asking the builder to have the hull measured prior to delivery. The advantage of this is that if measurement picks up a problem (for example a buoyancy tank leaking), the builder is obliged to fix this, saving you a lot of trouble and expense. Measurement can only be carried out by a Mirror Class Full Measurer. There is a list of Mirror Class measurers in the list of International Class Measurers on the RYA website (the Mirror is an International rather than an National class). You need to contact a measurer and arrange for them to carry out measurement. Expect the measurer to charge per hour for their services plus reasonable travel expenses, so discuss this with the measurer. It's also a good idea discuss the facilities available. For example, if the measurer uses a spring balance or load cell to weigh the hull, a beam, strong enough to suspend is boat from, is required. It's may worth checking any unusual features the boat has against the Class rules and modifying them if they don't comply. Measurement should be undertaken under cover with space to get around the hull and a level clean floor. The Measurer needs to measure the hull, daggerboard, rudder, rigging & spinnaker pole, boom, bermuda mast or gunter mast & gaff. This includes weighing the hull and checking the buoyancy tanks are airtight. The measurer will fill in a set of measurement forms, one for each piece of equipment, sign and date them. The owner is required to fill in some sections on the hull measurement form and there are some sections on the individual forms which are the owners responsibilty to ensure compliance. You don't have to have a set of sails measured at the same time as the hull, and a lot of new sails now come pre-measured. But if you have un-measured sails it's worth getting them measured at the same time as the hull. Be prepared to fix any problems the measurer finds there and then if possible. For example, if a measurment band is missing, or incorrecly positioned, this is fairly easy to rectify, saving the expense of re-measuring the item at another time. Once you have a completed set of measurement forms, you need to send them to the Technical Department of the RYA together with the current owners details, in particular their name, address, sailing club (optional), boat name (optional) and the RYA certification fee (or you can pay with a card over the phone).